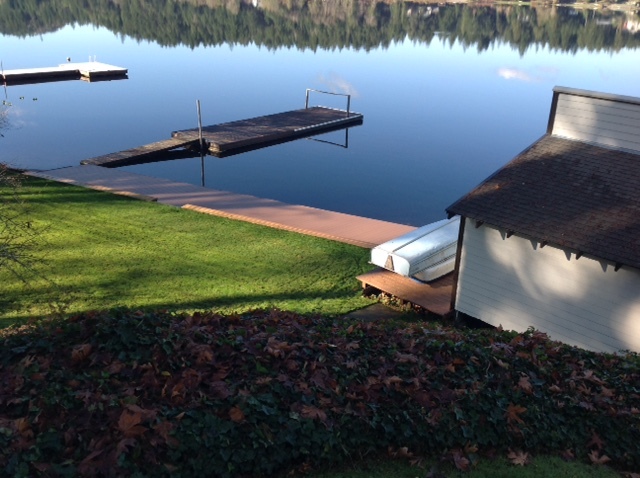 Whether you are restoring a used boat dock or building one from scratch, our Lockdry® marine decking is the best choice for the job. 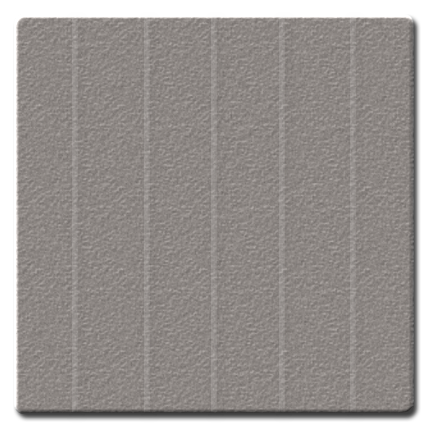 Lockdry® marine decking is a powder coated aluminum decking panel that you will never need to replace. It’s a revolutionary, maintenance-free product that adds long-term value to any structural application. Tired of brittle wood? Lockdry® marine decking never splits or splinters nor does it require protective treatments or staining. Tired of faded composite? With our textured, high-density powder coated finish, Lockdry® marine decking is fade-resistant and never scars or mars. Rest assured that after you install our Lockdry® aluminum marine decking, your project will remain flawless throughout the years. Our LockDry® marine decking is finished with a durable, high-density powder coat that exceeds AAMA 2604 specifications. 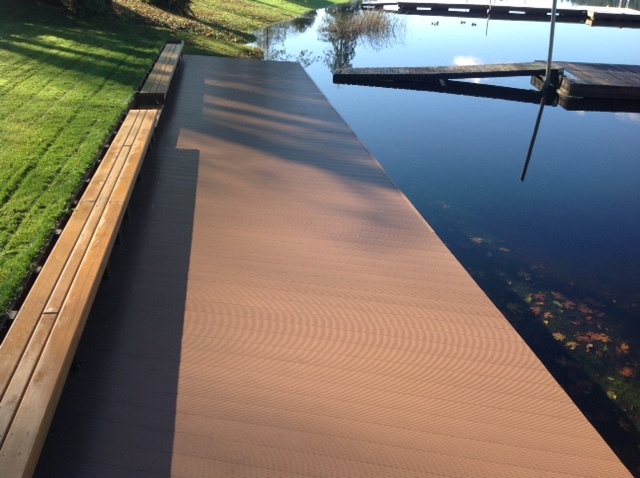 Create a seamless and virtually water-tight upper deck with LockDry® marine decking. With LockDry® aluminum marine decking, there is no need for extensive installation fees. Simply plan and order… and install on your own terms. 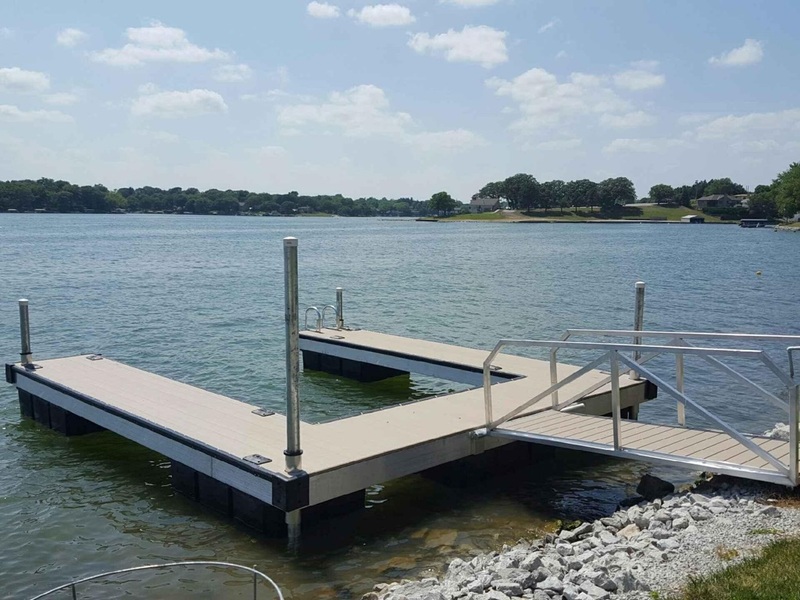 With your choice of four different colors set to match any dock configuration you could imagine, be the talk of the water with LockDry® aluminum marine decking. Lockdry® Aluminum Marine Decking is the ideal decking material for your next refurbishing project. Be it boat docks, boardwalks, bridges, or walkways… Lockdry® is the answer. 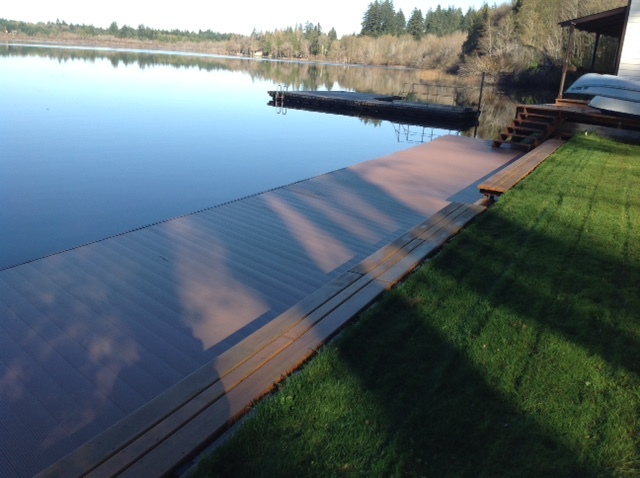 Flotation Systems proudly installs LockDry® aluminum decking on every dock we build. LockDry® is exceptional decking in every sense: strong, watertight, and non-slip textured, with a robust powder coated finish that meets AAMA 2604 standards and paired with a lifetime durability that far exceeds any other decking materials. 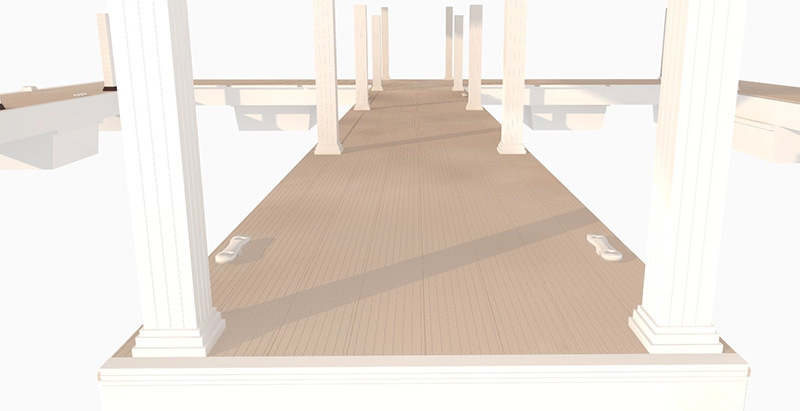 Lockdry® marine decking tested to 240 PSF (pounds per square foot) live-load on 36″ centers. 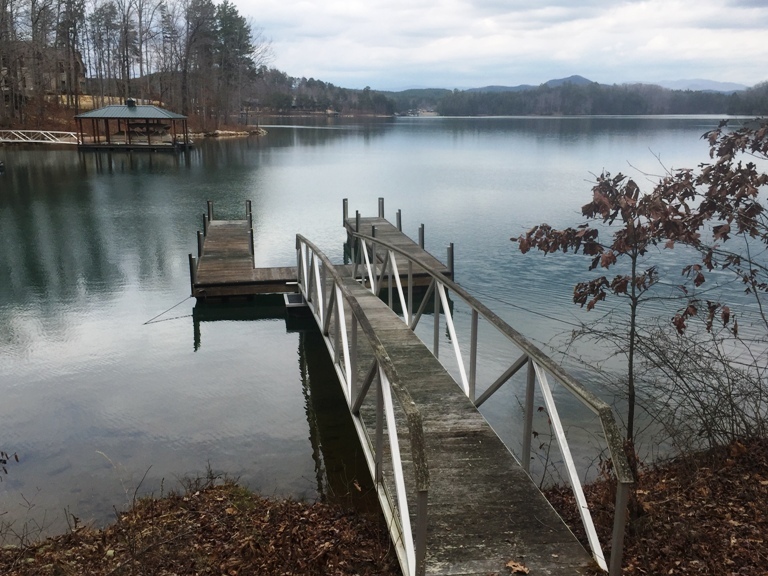 That’s Correct… renewing and refurbishing your boat dock can be accomplished in just three easy steps: Starter, Main, and Finisher. 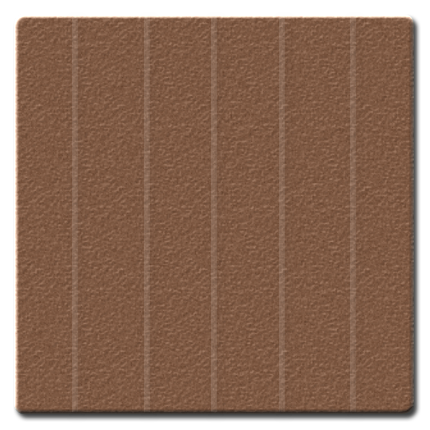 These three components simply interlock together to form a virtually water-tight and long-lasting decking surface.